Chef and owner of Marque, Sydney. 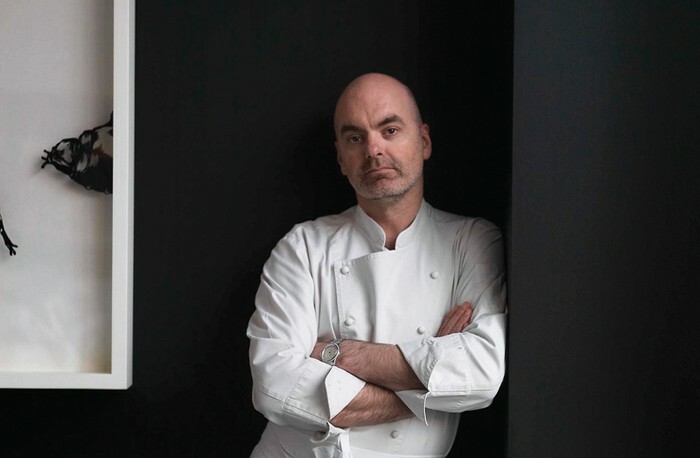 Mark Best started by discovering the stoves accidentally and ended up becoming an unquestionable symbol of the new Australian Cuisine. His perseverance and his ‘eternal dissatisfaction’ (as he calls it himself) are the vitamins for his spectacular personal development. Mark Best started his working life as an electrician in the gold mines of Western Australia before starting his culinary career at the age of 25. He commenced an apprenticeship at the Macleay Street Bistro, Potts Point, in 1990. This was the beginning of his passion for French food. In the fourth year of his apprenticeship he was awarded the Josephine Pignolet Award for ‘Best Up and Coming Chef’ in NSW. In 1995 with wife Valerie Best, he opened his own restaurant, Peninsula Bistro, Balmain, which soon developed a strong local following and rave critical acclaim. During this time he decided to further his study of French Cuisine in France. In 1998 he worked at ‘L’Arpége’ in Paris, Alain Passard’s three Michelin Star ‘Gastro Temple’. He followed this with a stint at Raymond Blanc’s, ‘Le Manoir Aux Quatre Saisons’ in Great Milton, UK. His time overseas fuelled his desire to open Marque.